This easy-to-use remote has all of the massage options you need at the touch of your finger-tip. A deeper and more human-like massage experience. 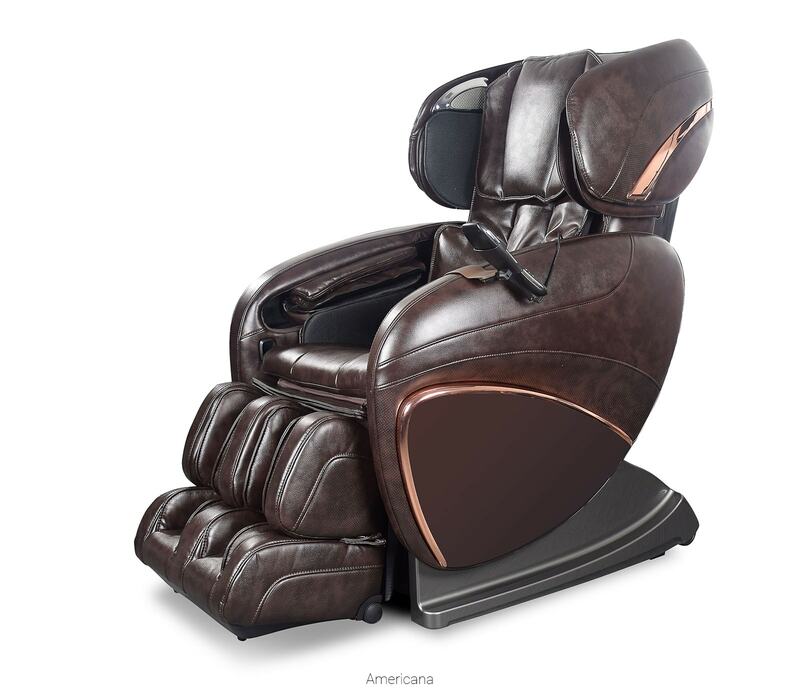 With 3D Massage Technology, the roller mechanism in the chair has the ability to travel up/down, left/right, and in and out of your back. 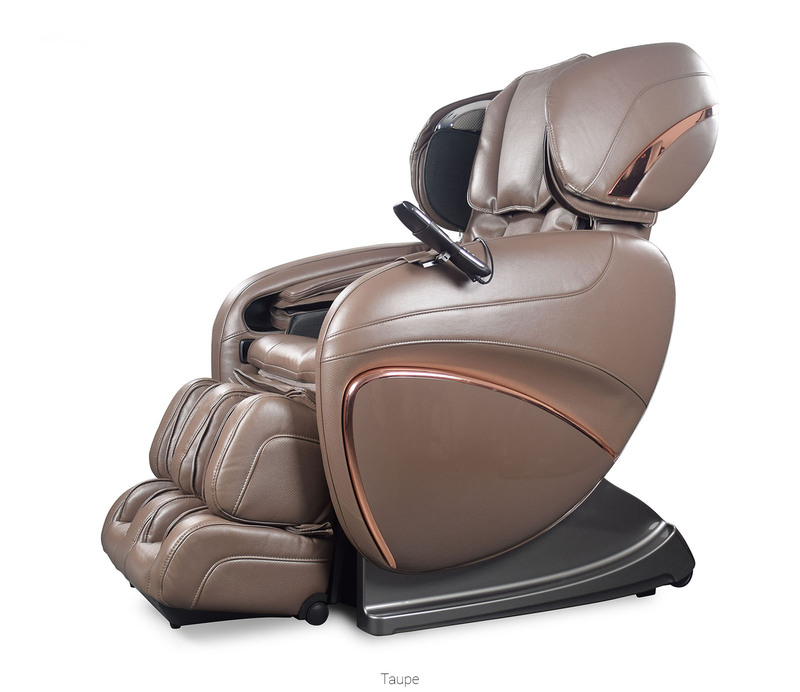 3D Massage provides the option of a deeper and more customizable massage. Give your feet a break. 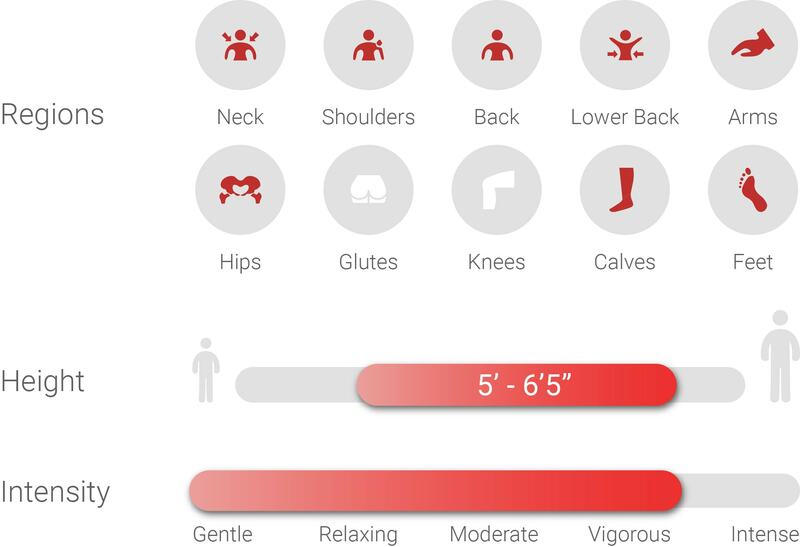 Did you know that the reflex zones located in the soles of your feet can affect your entire body? We have included rollers in the footrest of this chair to massage the undersides of your feet, and to benefit your body as a whole. 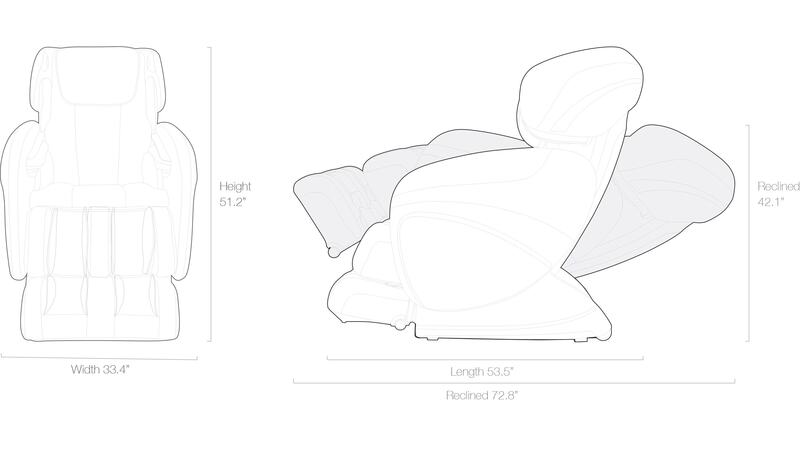 Zero Gravity Position mimics the position astronauts take during liftoff for a space mission. This position reduces compression of the spine and improves blood flow. 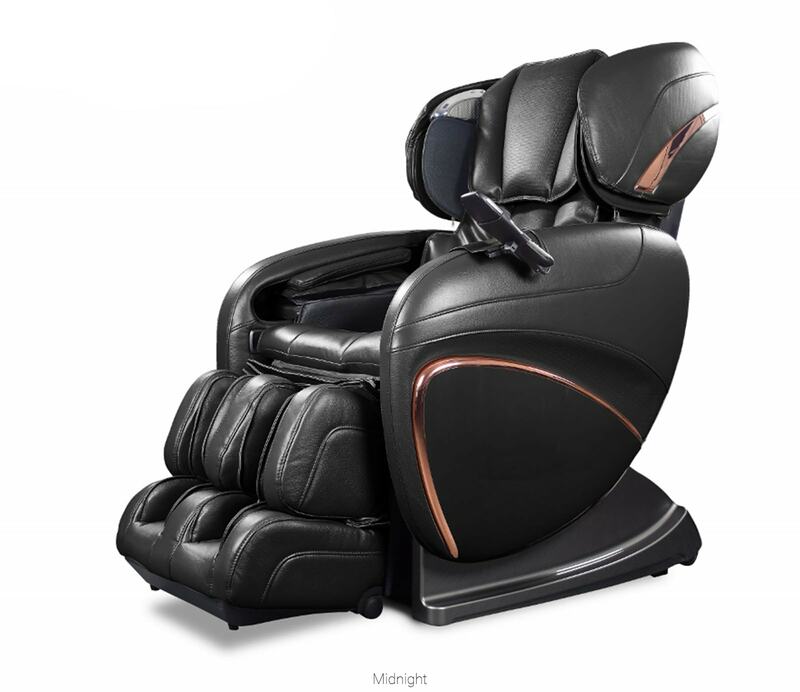 Play music through your massage chair. 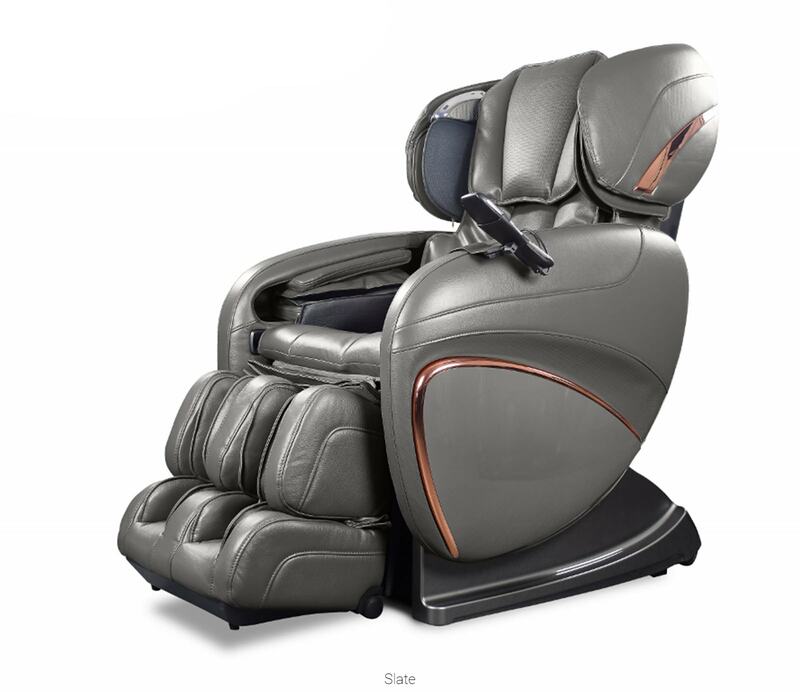 We have built Bluetooth speakers into the headrest of the massage chair to provide you with the ability to listen to your favorite tunes while relaxing in your chair.